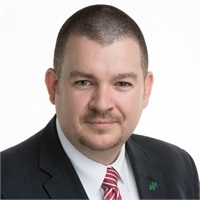 Eddie is Vice President of Sales at Penn Mutual, and he is responsible for the recruiting, training and development of new and experienced advisers. He is Life and Health licensed in Tennessee, Kentucky, Alabama, Georgia, South Carolina and Texas. Eddie is Series 7 and Series 66 registered in Tennessee, and LEAP licensed since 2016. He has been in the industry for over 8 years. After graduating from Freed-Hardeman University in 2005 with a Bachelor’s in Biology, Eddie spent almost 4 years in chemical manufacturing before finding his way to the financial world. When not working with clients, Eddie enjoys spending time with his family and church. He also enjoys kayaking, fishing and hunting.